The entire Moorefield Club deeply regrets the very sad and untimely passing of our Underage Chairperson, Emmett McConville during the night. We offer our sincere sympathy to his wife and family on their sad loss. Emmett was a wonderful supporter of Moorefield in so many ways – as a leader, motivator, coach, mentor, sponsor and friend. He will be sorely missed in our club but our loss will be in no way like that of his beloved family. May he rest in peace. Go dtuga Dia suaimhneas síoraí dá ainm uasal. Beannacht Dé leat a Emmett dhil. Best of luck to all of our Moorefield members in the school show… Don’t miss it! There was great excitement at Team Moorefield Underage training Saturday morning (20/10/13) when our County Champions visited with the Dermot Bourke Cup, League Cup & Aldridge Cup along with members of the Senior Reserve B team with the Reserve C Cup. Congratulations to Shauna Doyle who has been named as the Minor ladies captain. Hard luck to the team and management who lost the minor final. Great work put in all year. Commiserations to the Under 21 team and management who were beaten in the semi-final of the shield. Our main pitch and pitch with lights are not available for training until further notice! 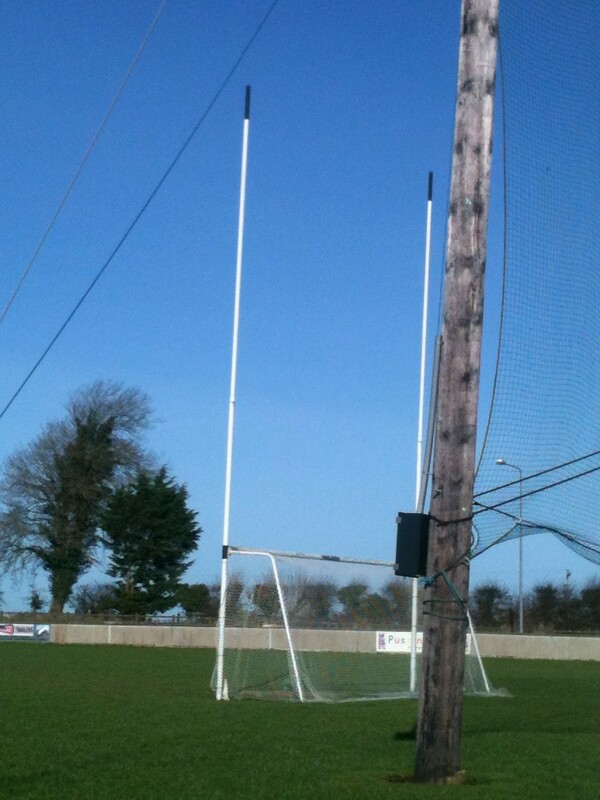 Over the coming weeks we will be putting in place management teams for our Senior B Reserve, Senior B and minor teams. We will also be looking for mentors to get involved with underage teams. If you would be interested in putting your name forward please contact Sos Dowling 087-2509200 or Philie Wolfe 087-2023580 before the 20th November. The message in a bottle project is a community based programme encouraging people to retain important medical and personal details in a bottle in the refrigerator .It will facilitate timely medical intervention by the emergency services if they are called to respond to an accident medical incident. Best of luck to the Seniors in the county final… from around the world!